Cognitive load is an important aspect when considering the user experience of a computer system or a tablet. In the simplest terms, the cognitive load is the sum of elements you need to learn and get familiar with in order to use the device spontaneously and intuitively. That means that every item, every app, every user interface element in a system adds to the overall cognitive load since, even if you do not use a specific feature or app, it still is there and contributes to the sum of information that your attention is confronted with. For a developer, cognitive load is, in a certain way, the flip-side of a feature, the price he pays for a adding a new capability: each new feature requires terminology, a user interface, a behavior that needs to be defined, and then learned by the user. The more features a device has, the higher the cognitive load. And while certain features may be easy to guess and to learn, others, which may seem perfectly straightforward to the developer, can present seemingly unsurmountable problems for the unexperienced user. And, of course, the more features, the higher the cognitive load – and, for many users, the exasperation of dozens and dozens of only vaguely grasped user interface items, apps, widgets and icons we may or may not need. Yet the number of features is going up, not down. Modern technology development is intensely feature-driven: features are what is used to market most devices, features are what is used to distinguish one device from its competition. And features are relatively easy to define – much easier, in any case, then to implement in a graceful and easy to learn way. Of course there is no ideal device, and there will always be cognitive load, especially as manufacturers continue to add programs and capacities to tablets and smart-phones. Which brings us to the thorny issue of the – increasingly numerous – features we do not need, the programs or apps we will never use, the options we barely grasp or totally ignore. Not only are they useless to us, but unused features have the nasty side-effect of increasing the overall cognitive load, to make the device harder to use and more confusing. Searching for the right app on your tablet is much easier when you have a handful of them then when there are dozens and dozens, spread over several display screens that you need to flip through in order to find the right one. Why is cognitive load important? For a consumer, especially an inexperienced one, cognitive load is one of the first elements of user experience he encounters as soon as he switches on a new device. What happens when an unexperienced user first tries out a new gadget? Most of us will play around with a device and see if we can find our way around. And that’s when cognitive load kicks in. How many elements do we see, how many icons do we have to get used to? How do we find what we are looking for? How do we decide what we need and don’t need? There is no doubt that cognitive load has a strong impact on user expereicne, since even when we do know our way around a device and its user-interface, more elements means more potential confusion, more hesitation when looking for something, more ways to get lost. And while one may down-play the importance of cognitive load, of a device, actually looking at all the elements that need to be taken in by the user is very instructive. That’s why in our user experience benchmarks, cognitive load is an important aspect. How can we quantify cognitive load? Cognitive load can be quantified, but it takes some time and effort. A good starting point is to count the number of elements a device exposes to the user. 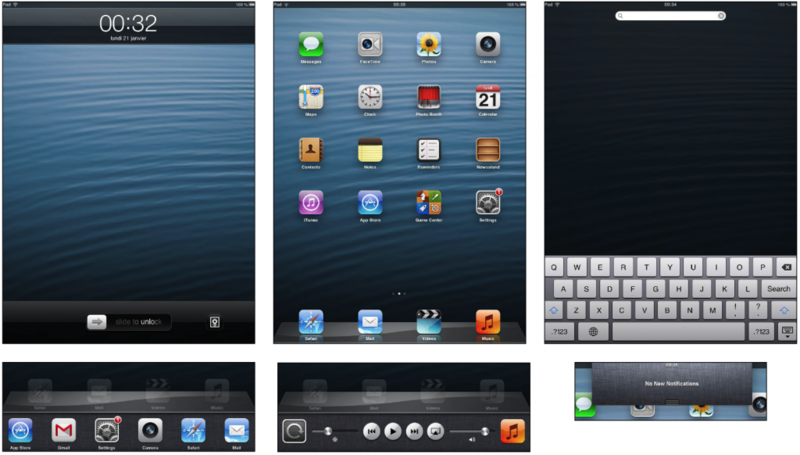 How many user interface elements, icons, apps, widgets etc. does the user see when he starts using a device – that is, before personalizing and adding or deleting elements from the device. The result is an easily verifiable number – but even more interesting than the number is the display of the levels and layers of user interface you have to get comfortable with in order to find your way around the device. 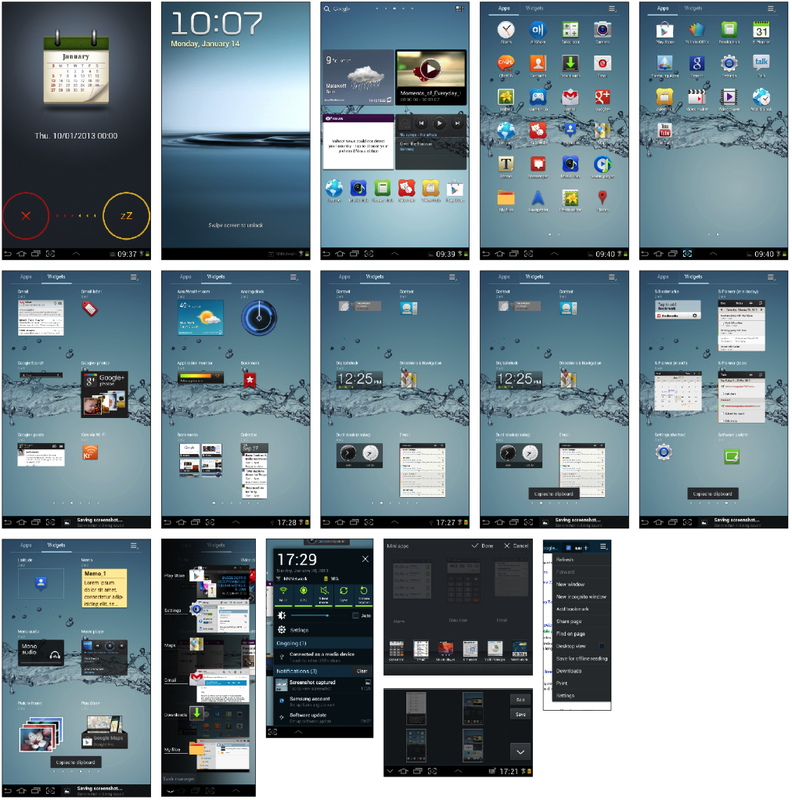 Comparing the screenshots from two popular devices in their factory configuration speaks for itself. How many icons, user interface windows and other UI elements is a user confronted with when he switches on his device the first time? Cognitive load clearly is one of the important aspects of tablet and smartphone user experience. But apart from being helpful for evaluating these devices, cognitive load should be taken into account much more systematically by device manufacturers as an aspect that has serious consequences on ease of use and quality of user experience, and that needs to be managed and streamlined. As tablets become more and more pervasive in our lives, user experience will be the great distinguishing feature between them – and cognitive load is an essential part of it.